Peter Grant is the protagonist in a series of crime fiction/urban fantasy novels by British author Ben Aaronovitch. Peter Grant is a young constable who works at the Metropolitan Police of London. His goal is to end up as a detective there, but instead he ends up meeting a ghost and joining the supernatural division of the Met. 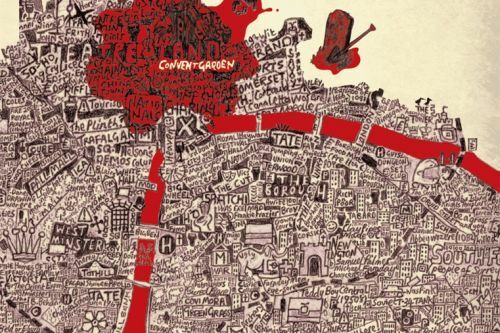 Note: Rivers of London was published as Midnight Riot in North America. Peter Grant Synopsis: Moon Over Soho is the second novel featuring Peter Grant by Ben Aaronovitch. The first thing Peter Grant sees when he looks at the corpse of jazz drummer/accountant Cyrus Wilkins is a song. The jazz song indicates that his death was not natural – it was supernatural. Peter must investigate a series of similar apparent heart attack deaths in the Soho area of London. But he won’t do it alone – he will have DCI Thomas Nightingale and the jazz knowledge of Simone Fitzwilliam by his side.